Dehydrated preparation for Lobster Bisque. 1- Mix powder with cold water and bring to a boil. 2- Cook for 10 minutes at low heat. Stir occasionally. 3- May be finished with cream. Season to taste. 3. Cocinar por 10 minutos a fuego lento revolviendo de vez en cuando. 4. Se puede terminar con crema. Sazonar al gusto. See bottom of the can. Store in dry place. Well cover after use. Ver abajo de la lata. Conservar en sitio seco. Tapar la lata bien después de usar. With a few extra ingredients added to Chefwise Lobster Bisque, you’ve created a quick & easy Soup of the Day. A big bowl of steaming Lobster & Sweet Corn Chowder, awaits you just a few minutes away! 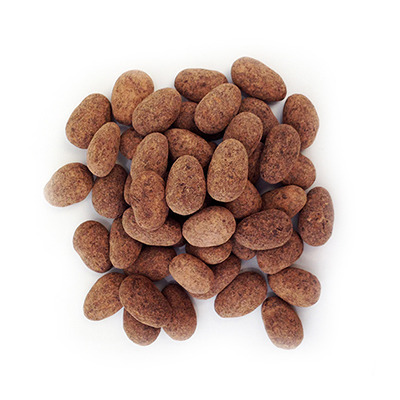 With Chefwise Lobster Bisque, you can create a Seafood Ragu within minutes. Combine our simmered sauce, a variety of fresh seafood and savory vegetables, served with rice pilaf, mash potatoes, or pasta. Here’s a quick and easy Special of the Day; Cajun Seafood Etouffee. Sauté'eing the “Cajun Trinity” (diced green peppers, celery, and onions), then adding fresh seafood, tomato, garlic, a touch of cayenne pepper, all finished with Chefwise Lobster Bisque ! 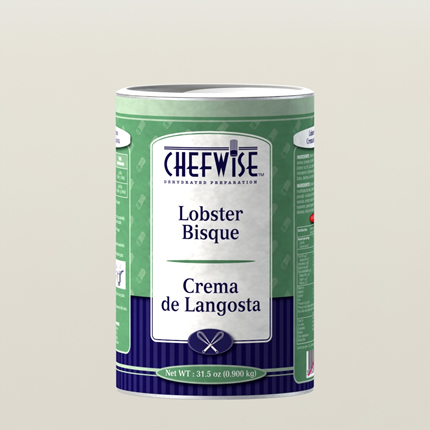 Fuse a few delicate Asian ingredients with Chefwise Lobster Bisque, such as lemongrass, coconut milk and a touch a red chili. Special Soup of the Day: Lemongrass Coconut Lobster Bisque! Here is the flavorful finishing touch to a variety of seafood dishes. Add roasted fennel to Chefwise Lobster Sauce, simmer & puree. Versatile and convenient, this sauce can double as a soup. Finished Roasted Fennel & Lobster Sauce with a touch of cream, butter and Pernod for a rich and decadent soup! For a southwestern flavor, add char grilled tomatillos, savory vegetables, and a touch of cumin to Chefwise Lobster Bisque. Simmer, puree, strain and finish soup with cream, garnish with sweet corn & lobster. Special Soup of the Day: Char grilled Tomatillos & Lobster Bisque.